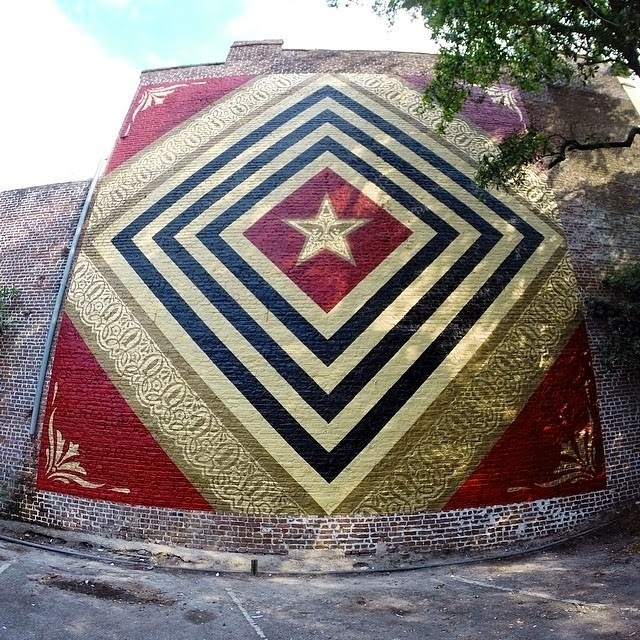 After the “Green Power” mural last week (Covered), Shepard Fairey spent two days working on this new piece on the streets of Charleston, USA. 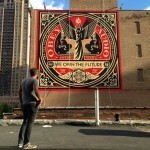 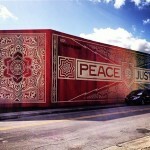 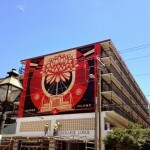 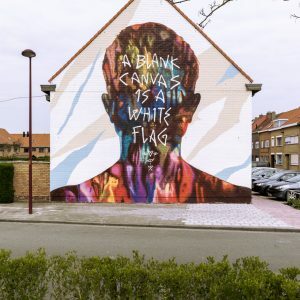 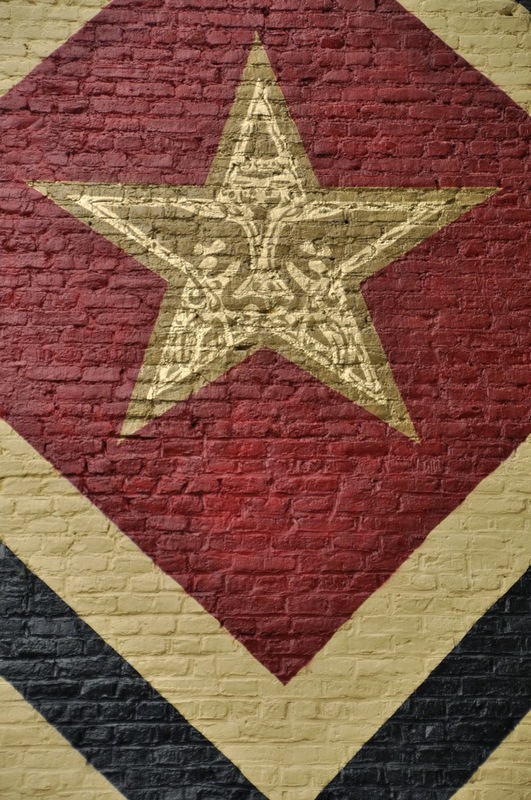 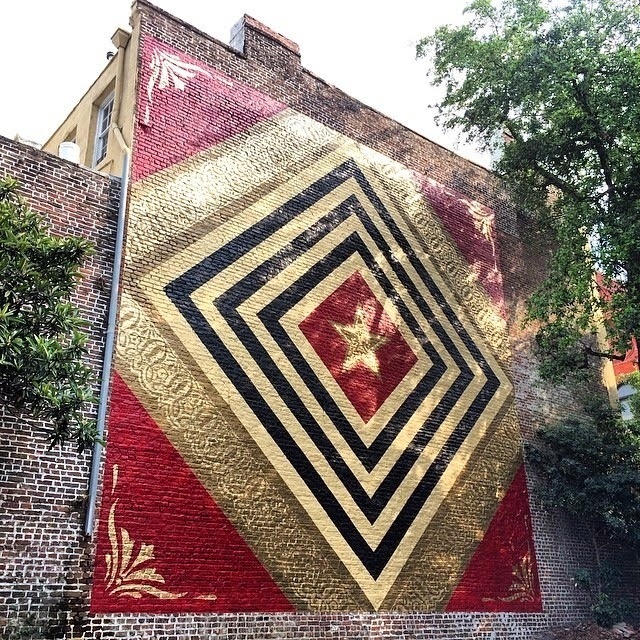 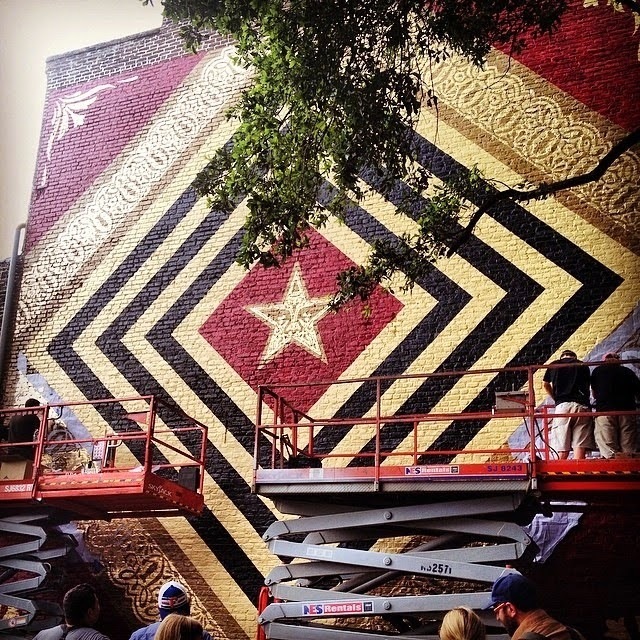 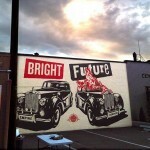 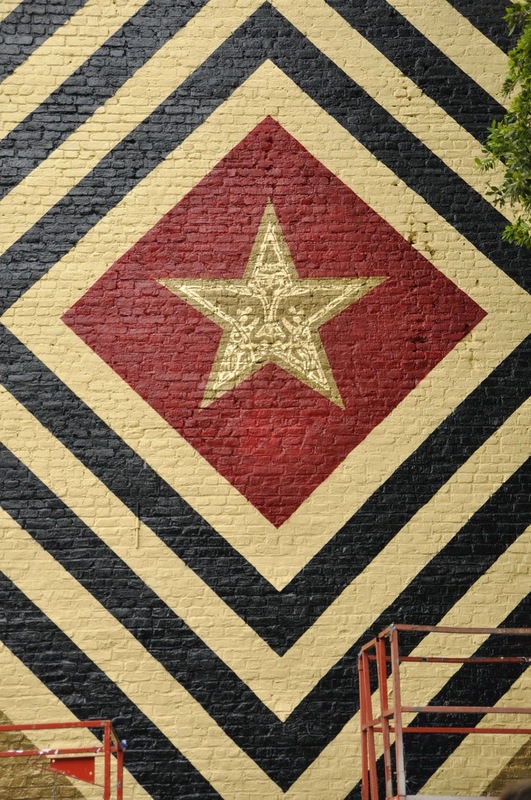 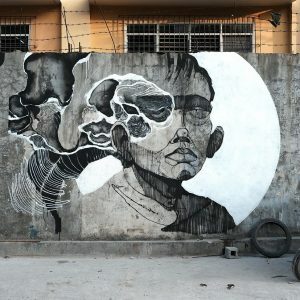 In town for less than a week, the popular American street artist and his team dropped their fourth mural with this pattern-based artwork which is featuring the Obey star logo in its center. 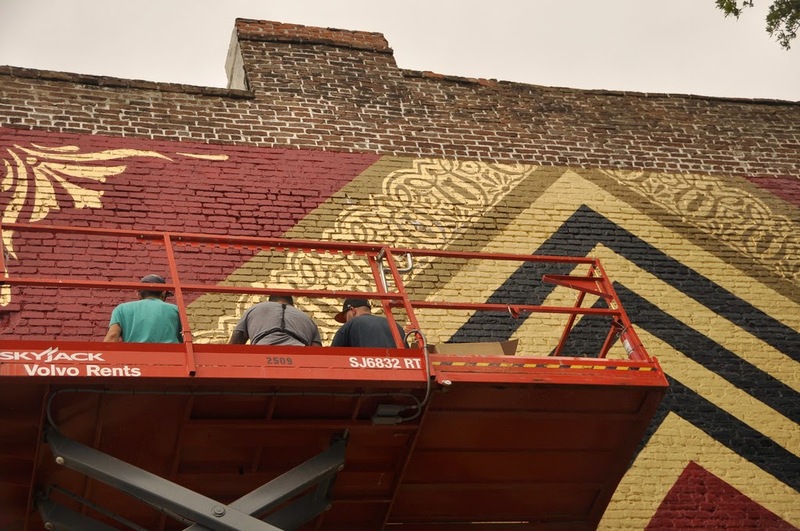 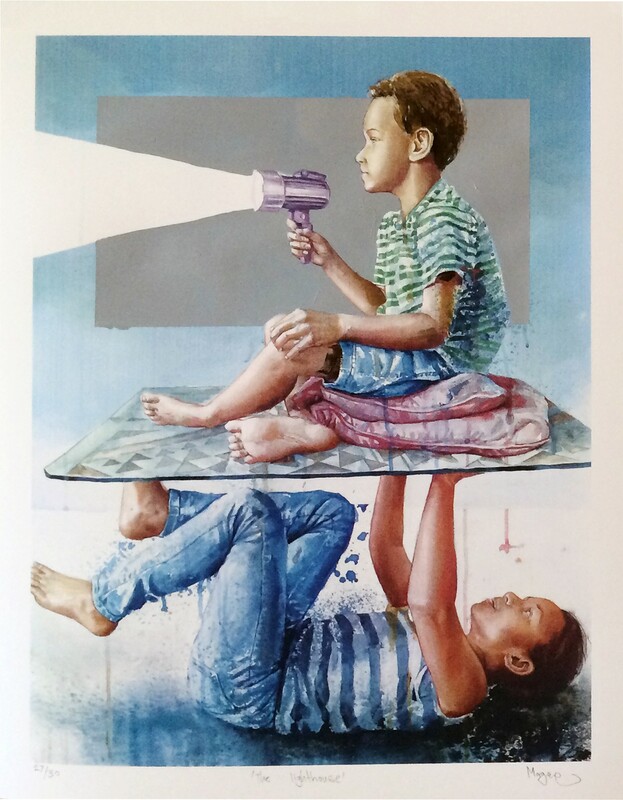 Take a look at more detailed images after the break and if you are in the area, you’ll be able to find it on King Street.